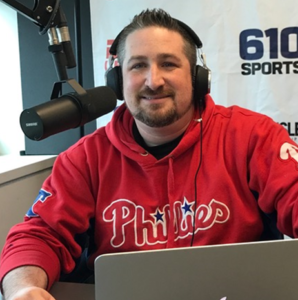 This week on the Heart of Sports, the guys break down the start of NBA/Sixers Free Agency, talked a little Phillies baseball and then had the High Hopes: Phillies Minor League Rundown featuring interviews with Matt Vierling of Lakewood and Jeff Singer of Reading. Jason Springer has spent more hours than he can count watching, listening to, playing and discussing sports. A longtime fan of Philadelphia sports teams, his life has been shaped in part by both the agony and exhilaration of those allegiances. Jeffrey Cohen has attended hundreds of sporting events all over North America, including the World Series, NCAA Basketball Championship, bowl games, Stanley Cup playoffs, NBA playoffs and countless Major League and Minor League Baseball games). 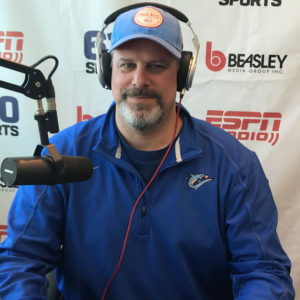 He has also participated in youth sports, having coached baseball, basketball and hockey, giving him a unique perspective on the development of the athlete.